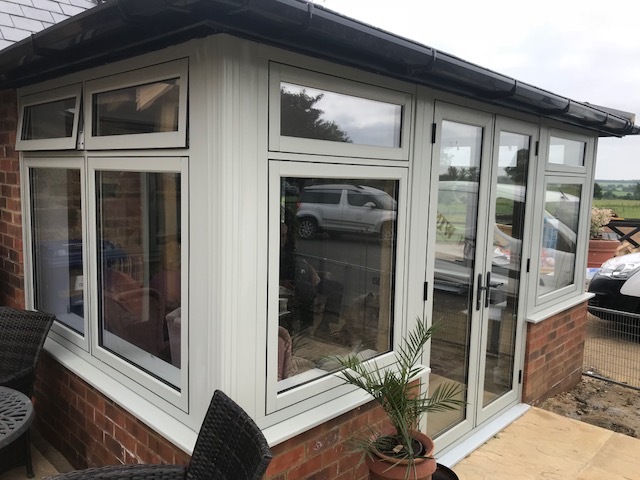 When customers come to our showroom looking for a classic design of window, we may not be able to provide them with wooden windows, but we can provide them with a cheaper product option which is more versatile than wooden windows, these are our range of Upvc Timber Alternative Windows from a company called Timberlook. 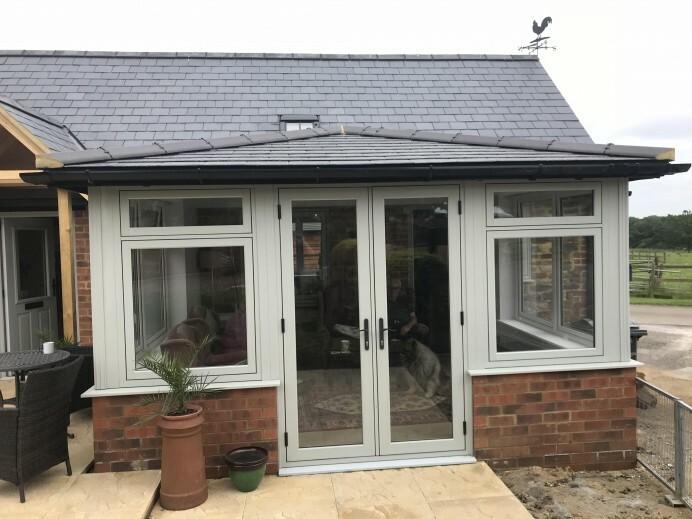 These windows are manufactured differently than standard UPVC as they are created to resemble wooden windows, and also have a foil put over the Upvc frame to provide the window with its wooden aesthetic. 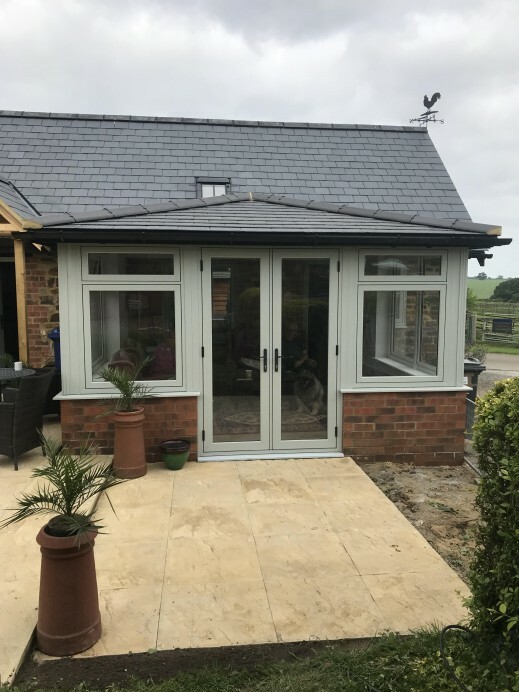 When this customer came to us, they were having an orangery fitted at their property at wanted to have windows and doors installed in their new space that would provide it with a classic result. 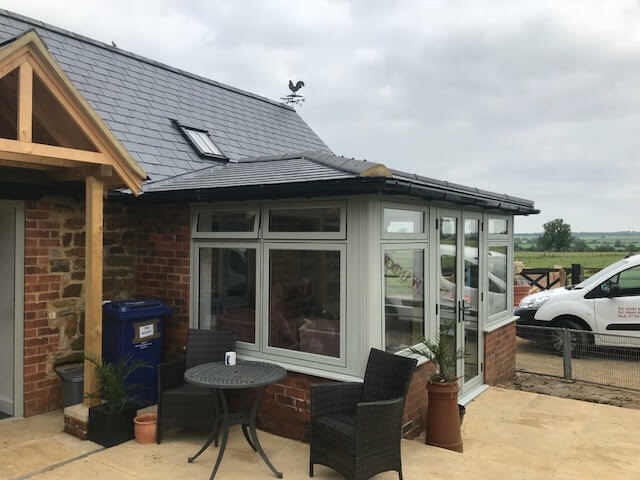 Because of this we suggested they go for the Timberlook Range of Flush Casement Windows, which had also stated producing Flush Casement Doors, finished in agate grey with black hardware. As you can see from these pictures, the windows add a perfect final addition to the build.